The 90s wouldn't have been All That (Nickelodeon fans, see what we did there?) without a daily spritz of ck one. Fast forward to 2013 and we can't get enough of the ck one color line. The hues are rich and the packaging has that effortless, 90s feel to it. The latest collections for spring and summer are all about pops of color. From bold blue shadow to a burst of coral on the lip, we can't wait to rock it all this season. This new formula of lipstick gives you all the benefits of a lipgloss, lipstick, and lip balm in one. You get major shine with an irresistible glossy finish. Plus, the hydrating formula nourishes and softens lips for all day comfortable wear. Available in 12 eye-catching shades. Not only are the colors perfect for spring, but the packaging and product names of the six limited edition goodies in this line are just too cool for words. 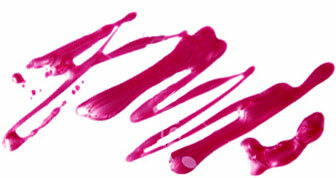 When it comes to lip color, do you prefer to be "tagged," "painted," "punked" or "sketched?" The collection includes a power eyeshadow quad, street edition shine lipstick in four intense shades, and real nail polish strips in a cool graffiti print. The tropical colors in this limited edition summer collection are inspired by the sea, because the summer is nothing without a dip in the ocean! The linup includes long wear cream eyeshadow, long wear + shine nail colors (scented with ck one summer fragrance), and powder bronzer. ck one color is sold exclusively at Ulta and Ulta.com. Which collection are you most excited about?